On February 29th, only two and a half weeks ago, this is what it looked like outside our window. 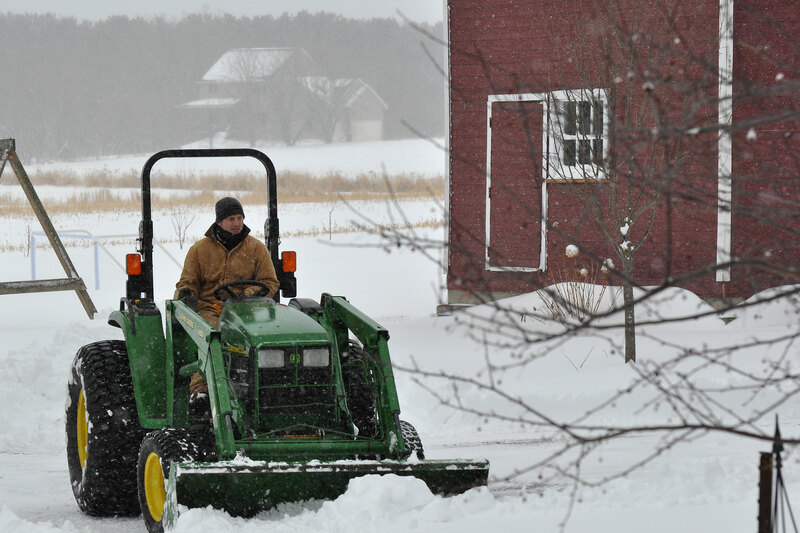 The snow started during the night and by morning, we had almost a foot of heavy, wet snow. School was cancelled and we were officially all “snowed in.” It was the first snow day of the school year and nobody was complaining around here about staying home. March rolled in the next day and as quick as it had arrived, all that snow started to melt away. The temperatures soared and before too long, there was no trace of snow left. When the temperatures started hitting the upper 60’s and 70’s several days in a row, we started to notice some interesting things happening around the farm. We checked the bee hives and were happy to see that they are definitely still alive. This good news means that we have successfully wintered our bees for the first time! 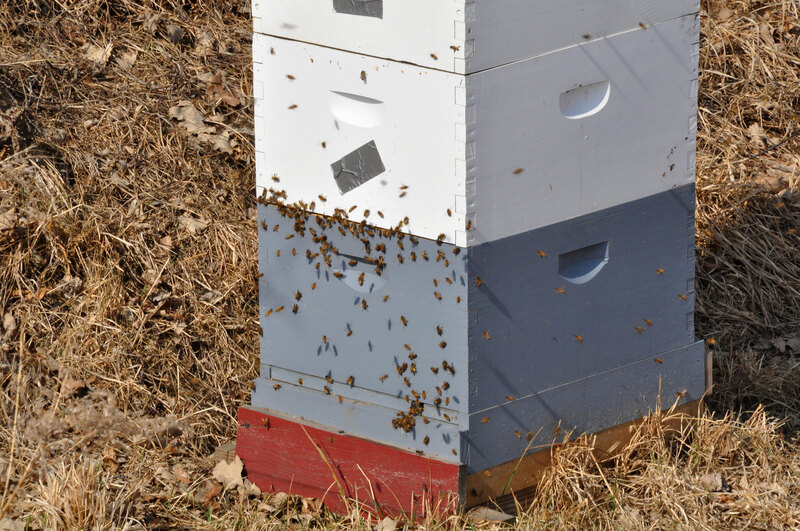 (Most likely due to the warm winter temperatures we have had, rather than our beekeeping skills). We also noticed the bees were out foraging. 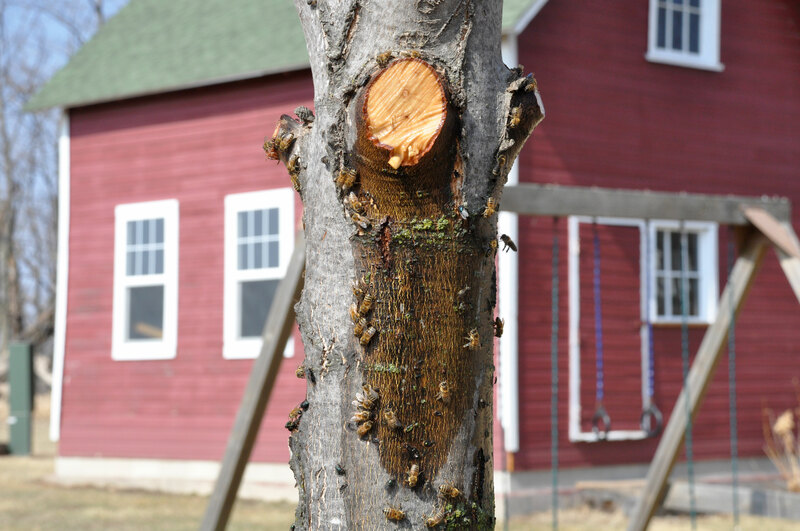 They seemed to like the sap leaking out of the maple trees that we pruned in late February. Since they are active so early this year and there is little food supply available yet, Jesse decided to start feeding them some sugar syrup to get them through the next month or so. 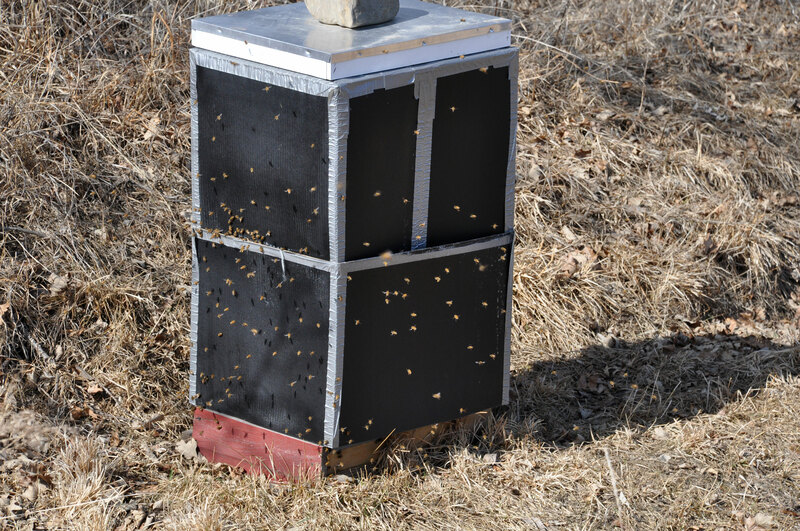 He also took off the black winter hive covers because of the warm temperatures – we don’t want them to cook in there! The hives both seem really strong, so we are excited to see how this season turns out. 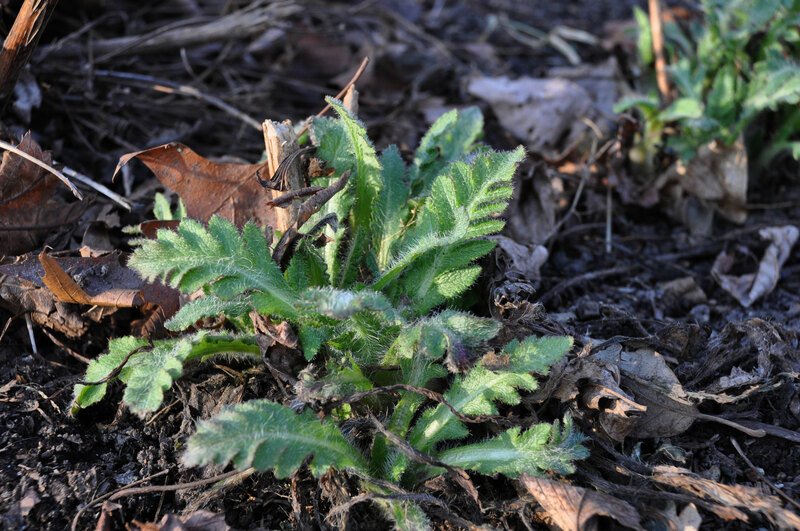 After a week of continuous March temperatures near or over 70F, we also noticed that my gardens are starting to wake up and spring to life. These poppies were hiding under the leaf mulch. 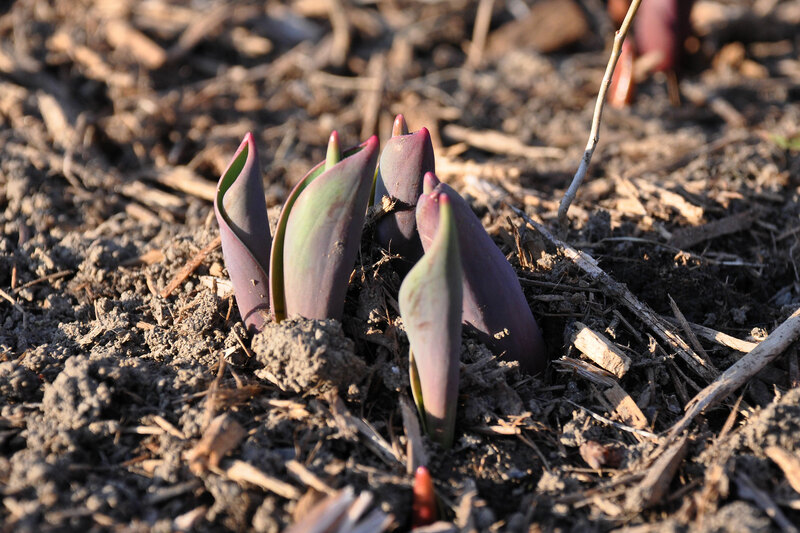 My tulips have also decided it is time to make an early appearance. With our warm weekend temperatures (more 70’s), we spent most of our time outdoors and in the gardens. 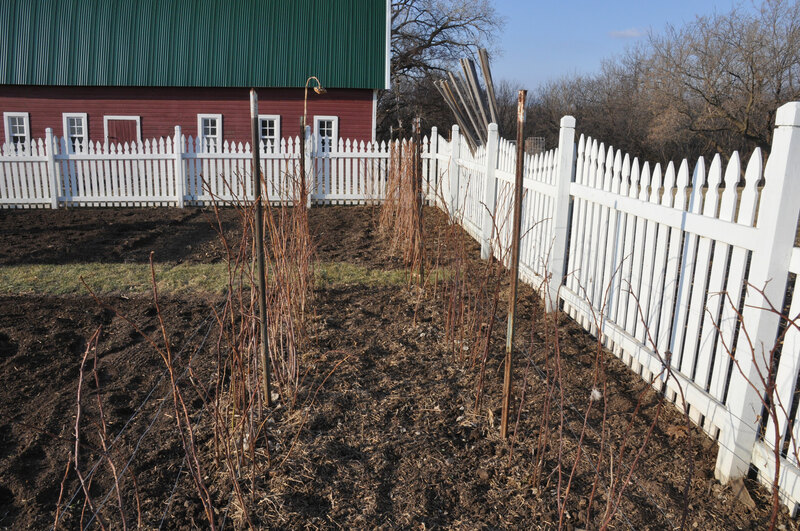 Although we realize it is very early in the season by Minnesota standards, we started the process of cleaning up the raspberry patch anyways. After digging up all the rogue plants to reduce the rows back down to about 12″ wide, we cut our all the old canes and re-strung the wire that holds the plants upright. We then trimmed all the remaining canes to about chest height, applied a 10-10-10 fertilizer, and lightly tilled along the sides of the rows. 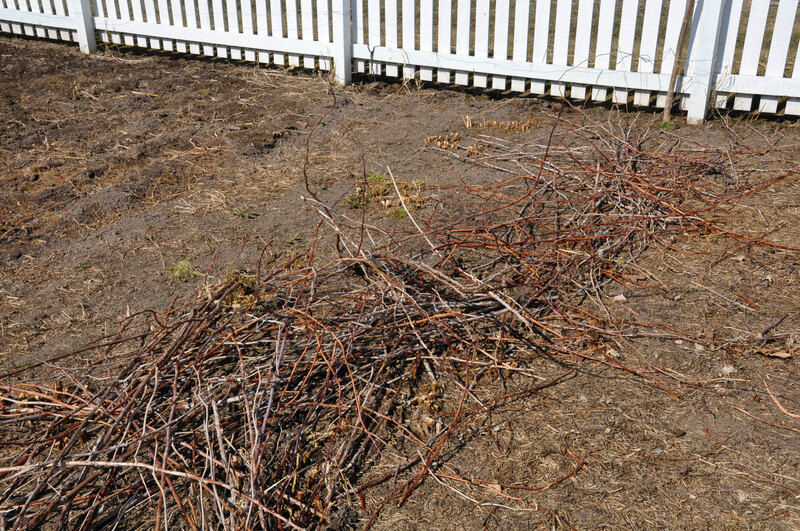 When we get around to it (hopefully within a week or two), we will put down a chopped straw mulch to try controlling weeds. 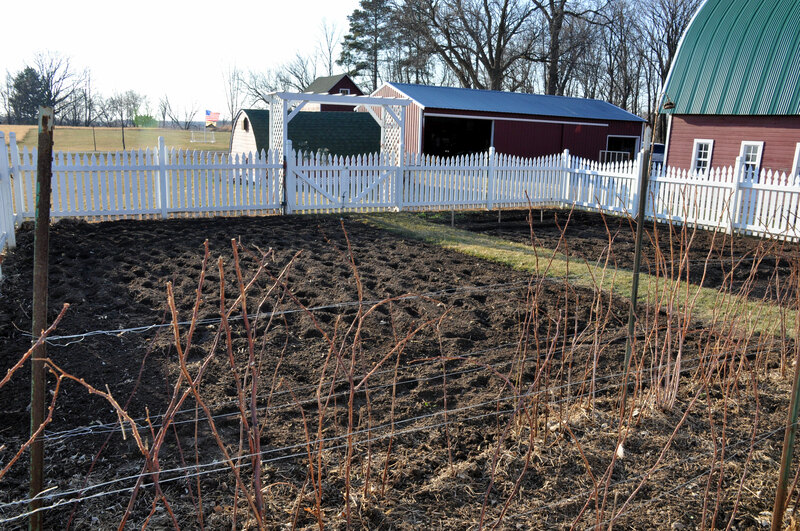 Since the frost was already out and the soil was so dry (we have had very little snow this winter), Jesse went ahead and tilled the whole garden up. 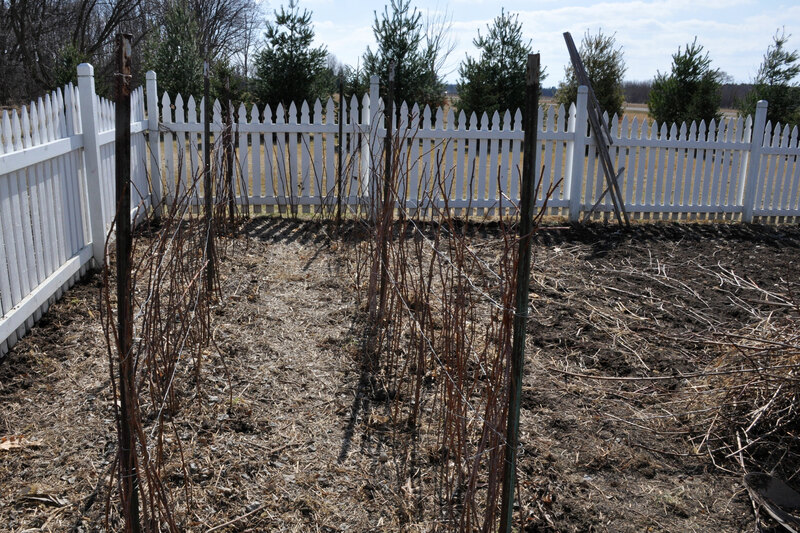 We like to work it up several times in the spring if possible, before we do the bulk of our planting. 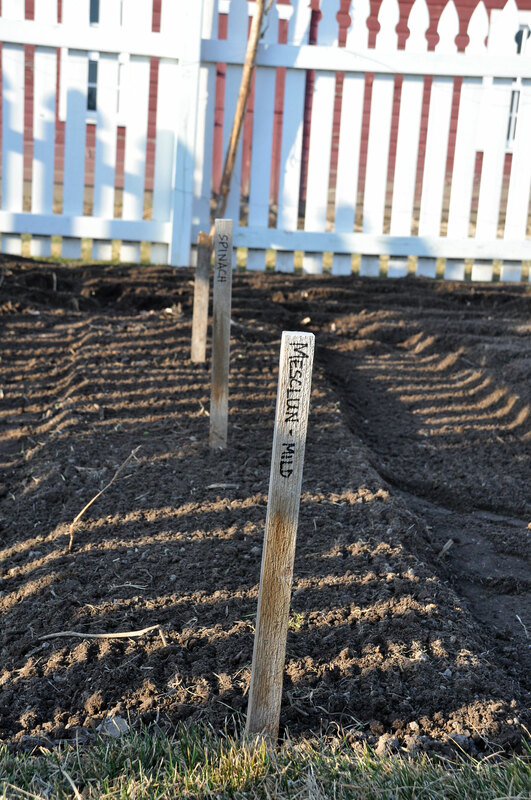 And finally, the last crazy thing we did on this 18th day of March here in Minnesota, was to plant some lettuce (mild mesculun mix) and spinach. These crops can handle some colder temperatures, so even though I know better, I am taking a risk and giving it a try. So, the madness of this Minnesota winter continues into March. I’m hoping we have seen the last of snow, but after living here my entire life, I know that just about anything can happen yet this spring. But whatever happens, I’ll be ready. I couldn’t be happier to be back out in the gardens. Hope you are enjoying some March madness wherever you are too!